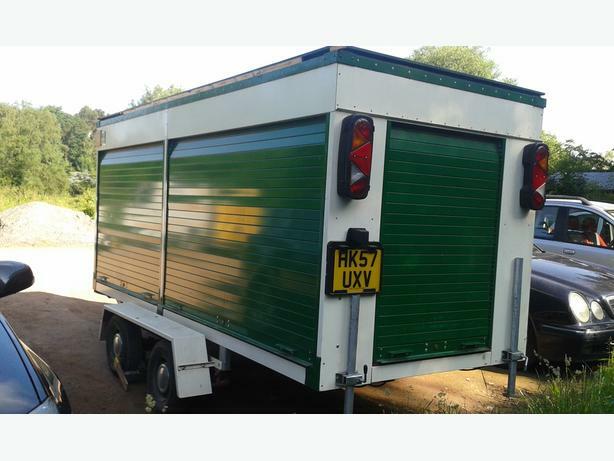 Trailer,with fully fitted shelving on both sides. aprox 5 meters,with five new roller shutters and lockable cuppling . twin axel.